Another quick and easy stop on Highway 99 is the Historic Kingsburg Jail in the city of Kingsburg. This jail has been around for over 80 years and provides a window in the history of the area. Also, did I mention it sits in the shadow of a Swedish Coffee Pot Water Tower? 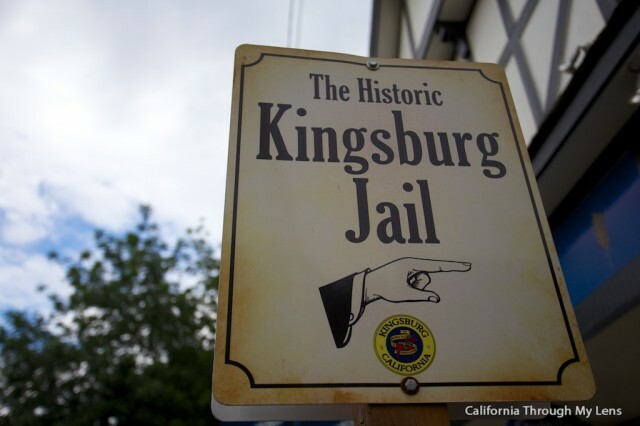 In October of 1924 the city council of Kingsburg started taking bids to replace their old jail that was built-in 1874. For a bid of $3,098 the Anton Johnson Company won the rights to build the prison. 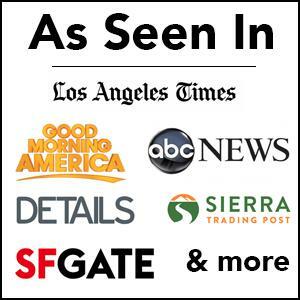 Six months later the jail was completed and the $3,000 was paid. 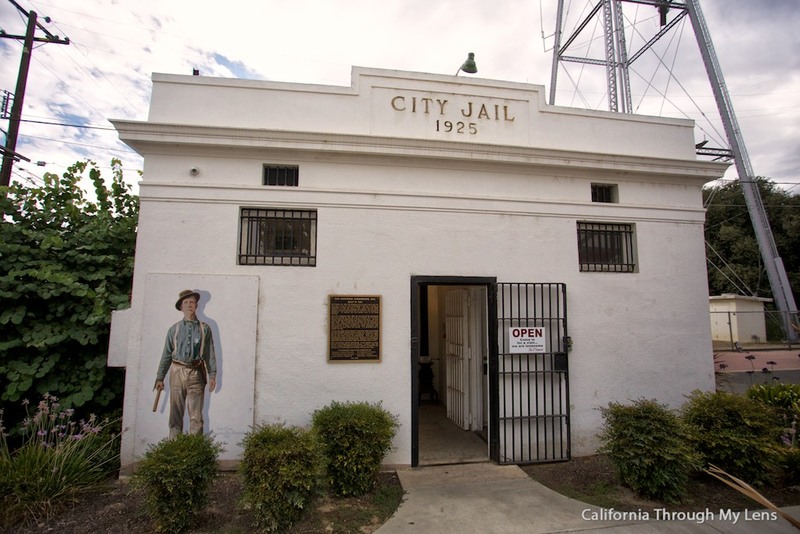 The jail ceased to exist in the earl 1970’s and it wasn’t until March of 2008 that it was given to the historical society and restored. The jail itself is no bigger then 25 x 25 feet square, but it is a fun place to explore for 15 minutes. 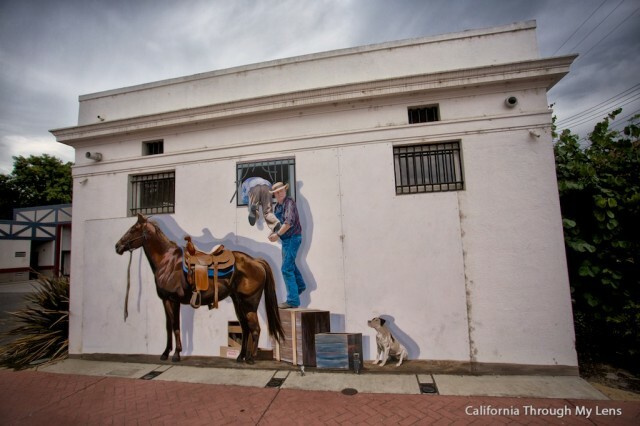 There have been a few mural painted on the exterior of the jail, one showing the inmates escaping and one on the front of the jail with an old sheriff. 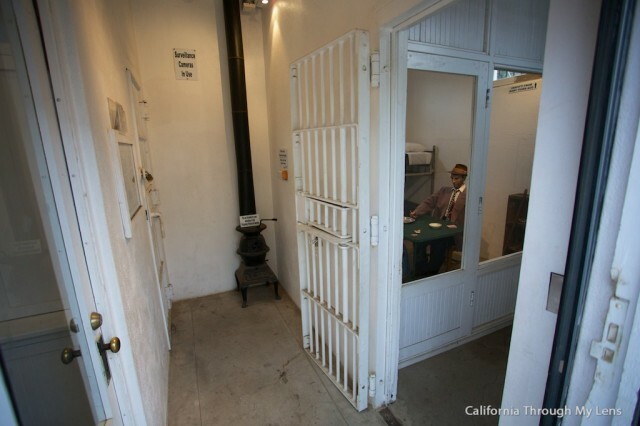 The interior of the jail has three rooms, none of which are accessible. Each room is barred shut but it has windows that you can look through. 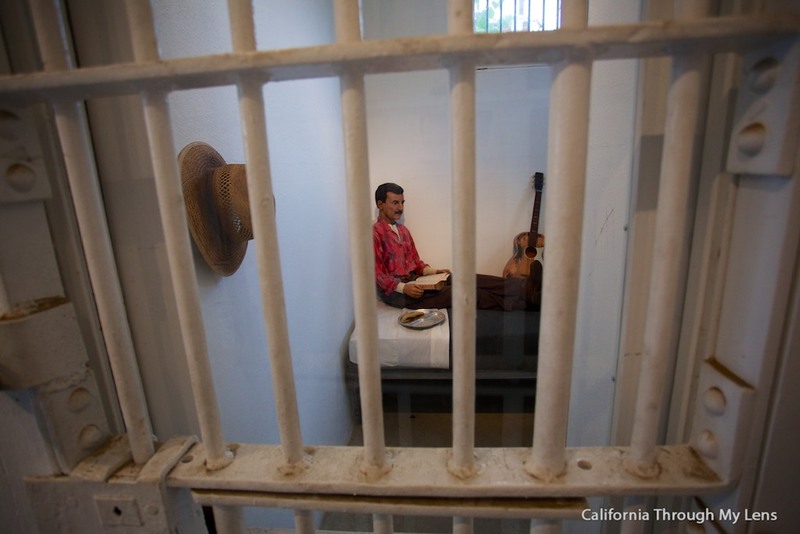 Inside each room is a recreated scene of life in the jail. 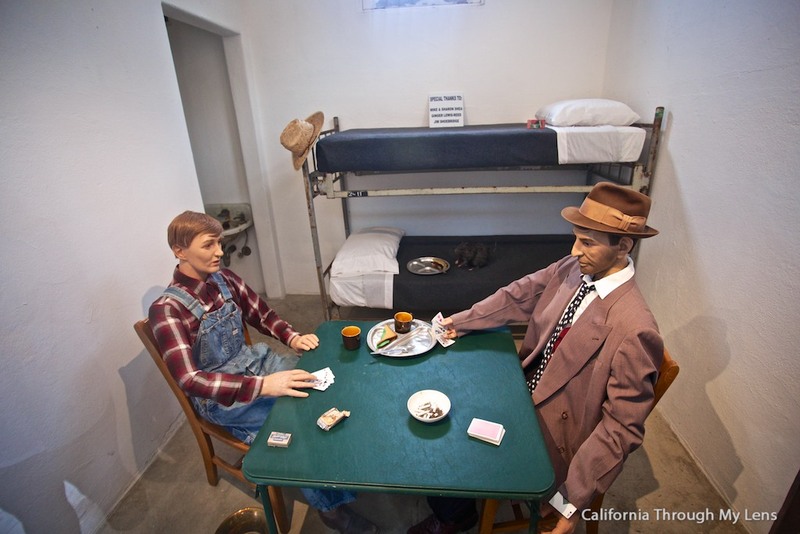 One has a few inmates playing cards, another has an inmate playing guitar. 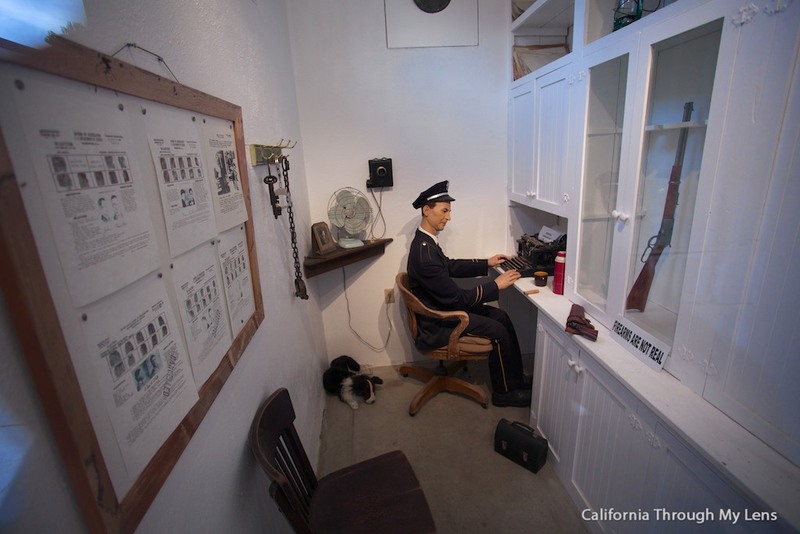 The last room has the sheriff sitting at his desk watching over the jail. There is also an old heater in the middle of the jail to show how it was kept warm. Above the jail is the Swedish Coffee Pot Tower. 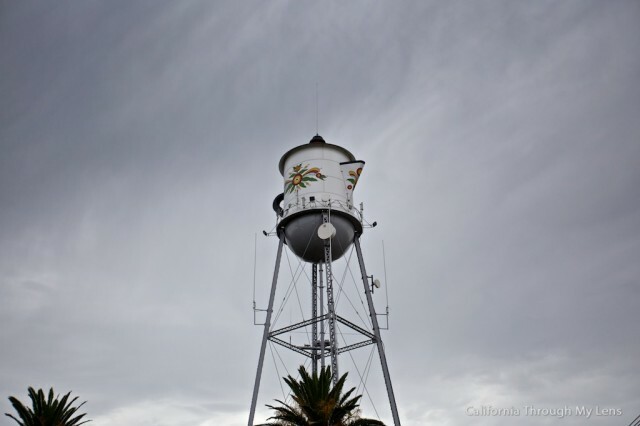 I do not have much to say about it other than that it is a fun way to decorate a water tower. Like I said above, it is doubtful you will spend more than 15 minutes here; but yet, it is a great place to stop on a road trip, especially to enjoy the history of the central valley. Let me know what your favorite stops is on Highway 99 in the comments.